What’s Happening in 5th Grade? Please visit the websites for our Grammar Workshop and Vocabulary Workshop and play games for extra practice! Click below for access to the PowerPoint we viewed in class! Hi! 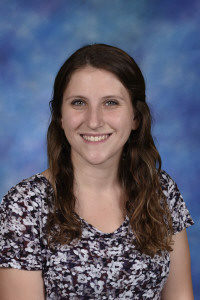 My name is Ms. Burns, and I am the 5th Grade Reading, Language Arts, and Social Studies teacher! This is my third year here at St. Giles. I grew up on the northwest side of Chicago. I attended St. Robert Bellarmine for grammar school, Resurrection High School, and Northeastern Illinois University. I have my Bachelors Degree in Secondary Education/English, with endorsements for Middle School ELA and Social Sciences. Prior to working at St. Giles, I was a long-term substitute at an elementary school in Niles, where I worked as a Special Education Teaching Assistant and Reading Interventionist. Outside of teaching, I love to read, dance, do yoga, and try new and interesting food! I am so happy to be a part of the St. Giles community, and I look forward to a great third year!